White dial with markers. Stainless steel bracelet. Mineral glass crystal. Date calendar. Second hand. Water resistance to 30 meters. TFX watch distributed by Bulova. Case size: 26mm. Duet: 36B100. Water resistance to 30 meters. 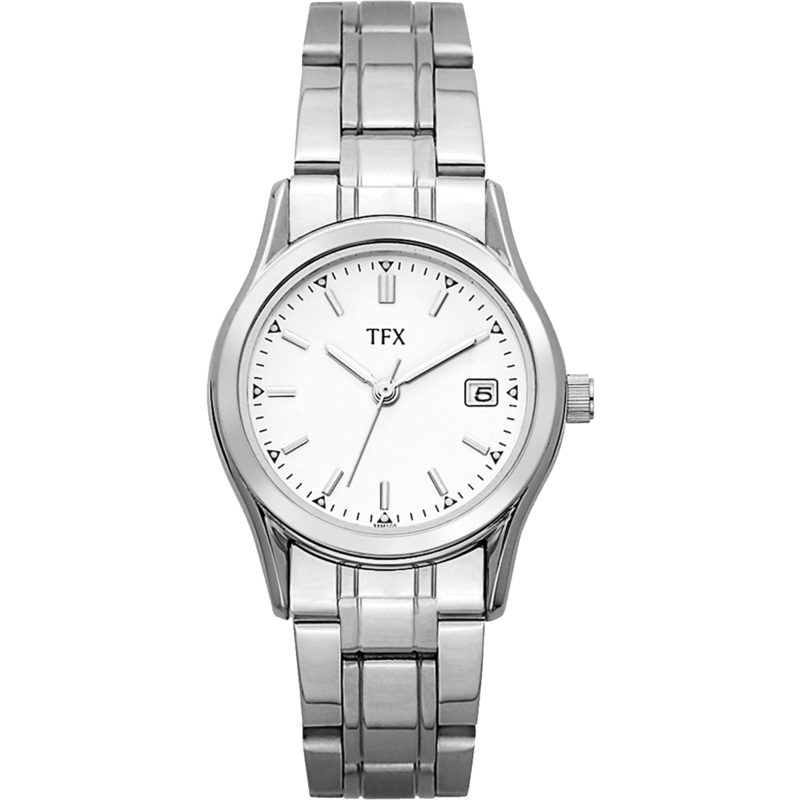 TFX watch distributed by Bulova.